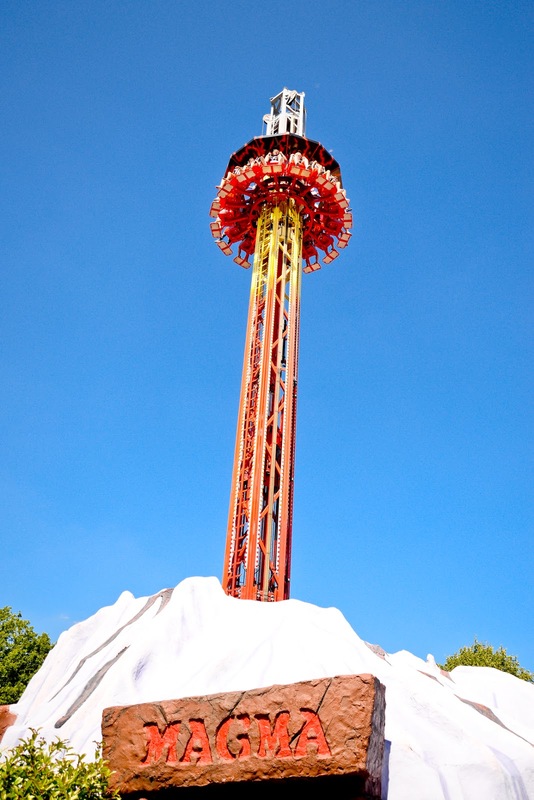 On Friday we visited what is, in fact, one of our favourite family places in the UK - Paultons Park. We've been a few times now and each time we've had such an incredible, fun-filled day. 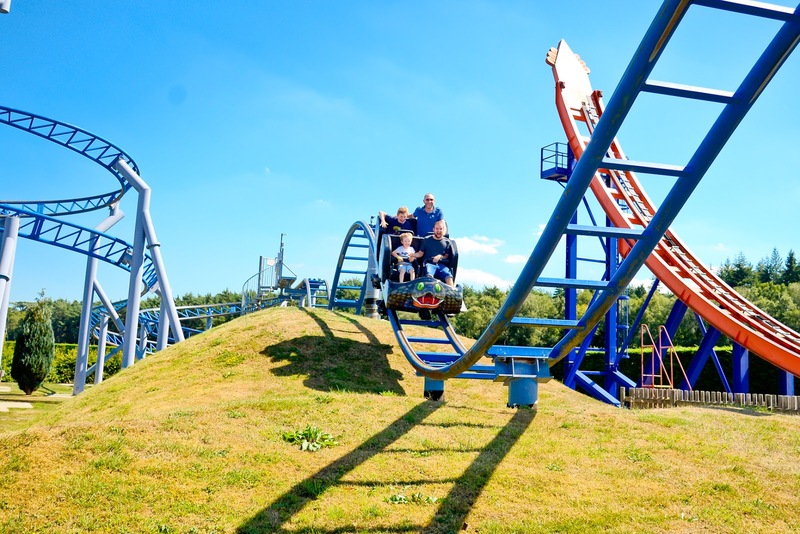 The thing with Paultons Park is that there is something for everyone. 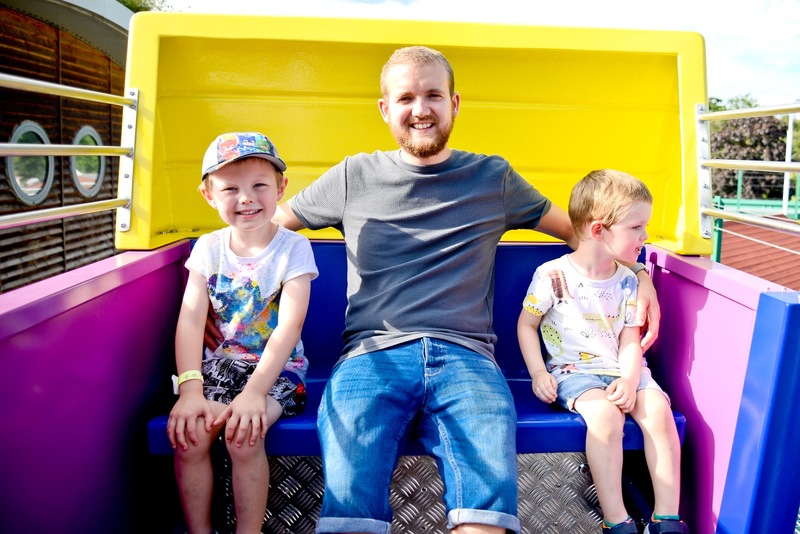 A lot of people think of Peppa Pig World when they think of Paultons Park, as it is home to it, but there's also so much more to Paulton's Park to love. 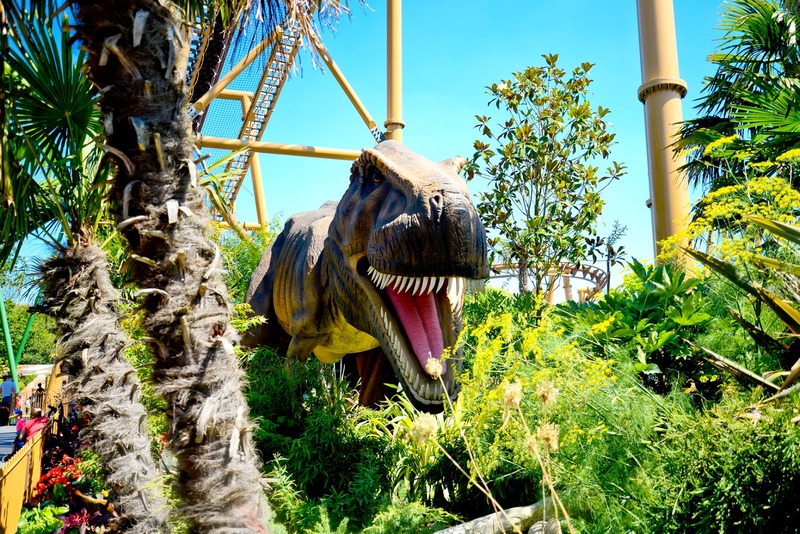 We are big fans of their Lost Kingdom dinosaur zone, for example, my little boys love the rides there and my eldest, though just five, loves braving the more thrilling rides there too. 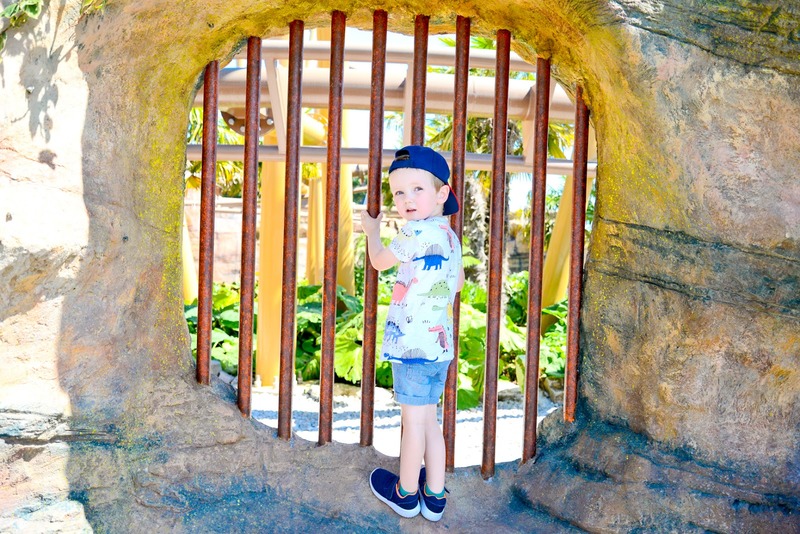 (He's a lot braver than his Mummy that's for sure!). 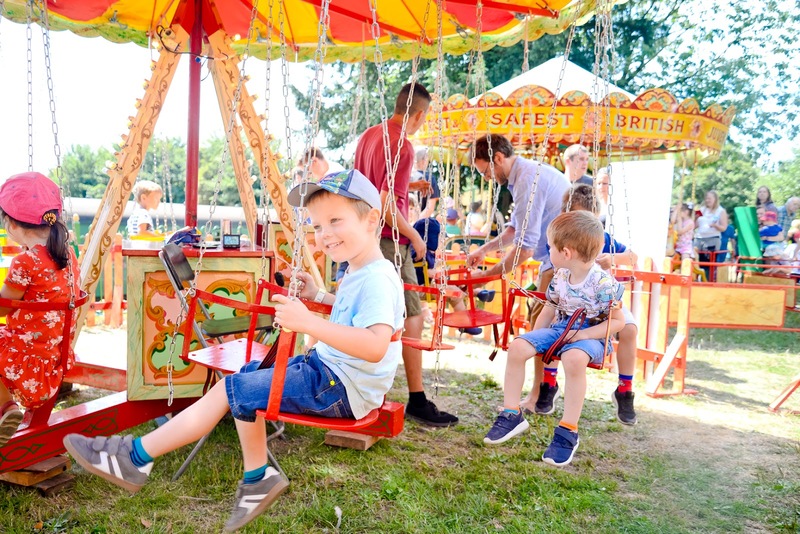 There are over 70 rides and attractions at Paultons Park and so much to see and do including; big rides, small rides, play areas, entertainments and a collection of animals and birds. 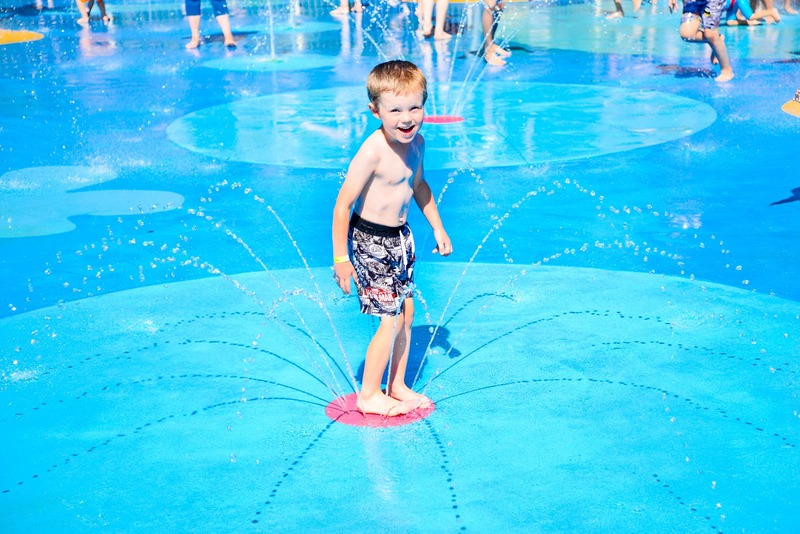 There is also a splash park there for the warmer days like we had on Friday. 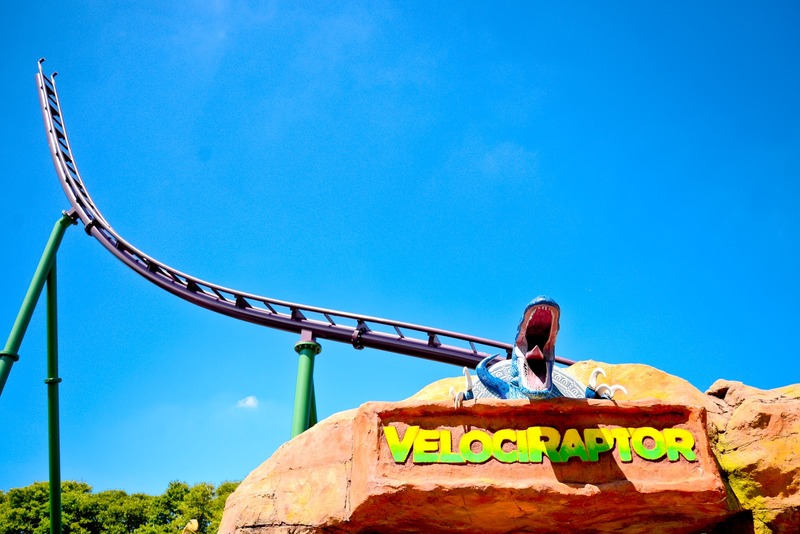 The kids love it so if you visit when the sun is out, remember to bring their swimwear and a towel. 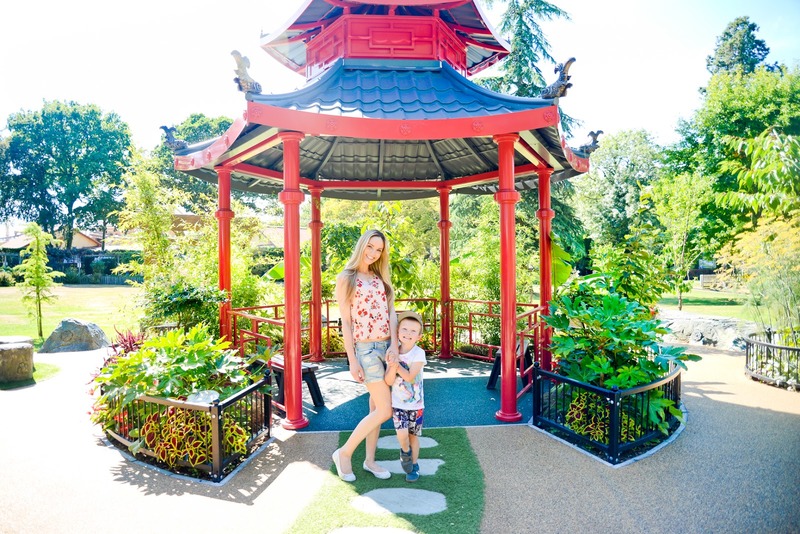 The design and attention to detail at Paultons Park is also incredible, it's a place that as a family we will always keep returning to. 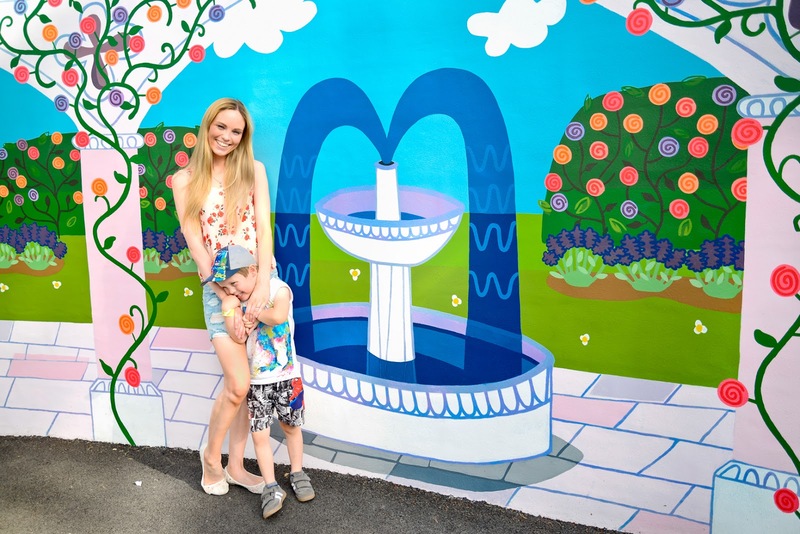 There are so many pretty areas like this one at Paultons Park to stop and catch a breath / have an ice lolly or a drink when you want to. Enjoying one of the new Peppa Pig rides that came out earlier this year. 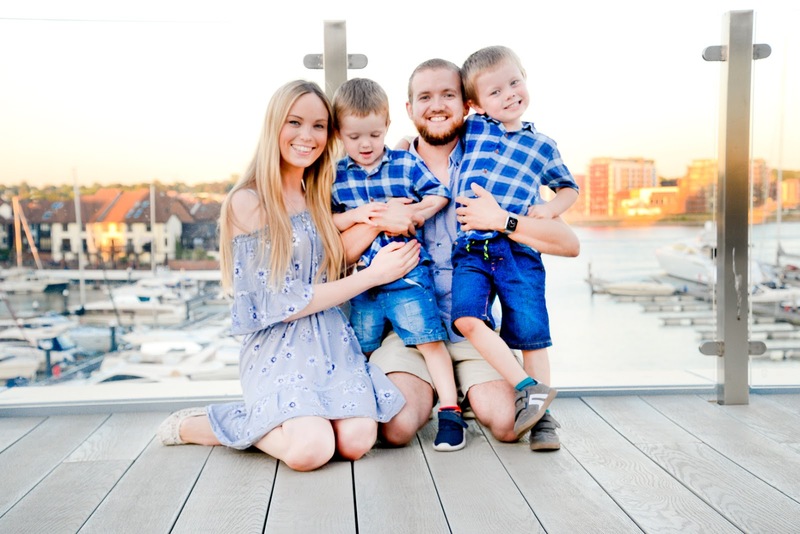 On Friday and Saturday night we stayed at the DoubleTree by Hilton Southampton and as soon as we arrived we were greeted by super friendly reception staff who handed us each a free warm cookie on arrival. 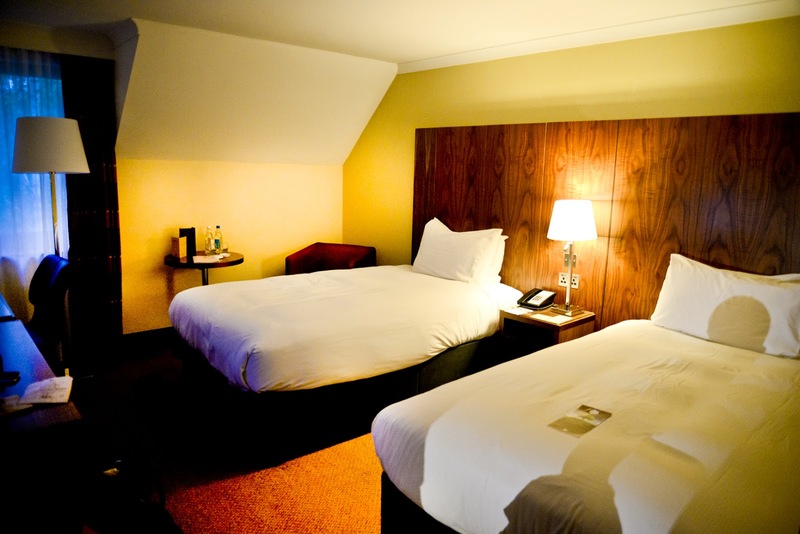 Our room was actually two interconnecting rooms which were absolutely perfect for us as it meant that Adam and I had our bed and room and the boys had theirs (a room with twin beds) but that we could see them and felt connected whilst having our own space. We slept perfectly for the two nights we were there (as did the boys) and were really impressed by the bathrooms when it came to bath/shower time as the water pressure was amazing. 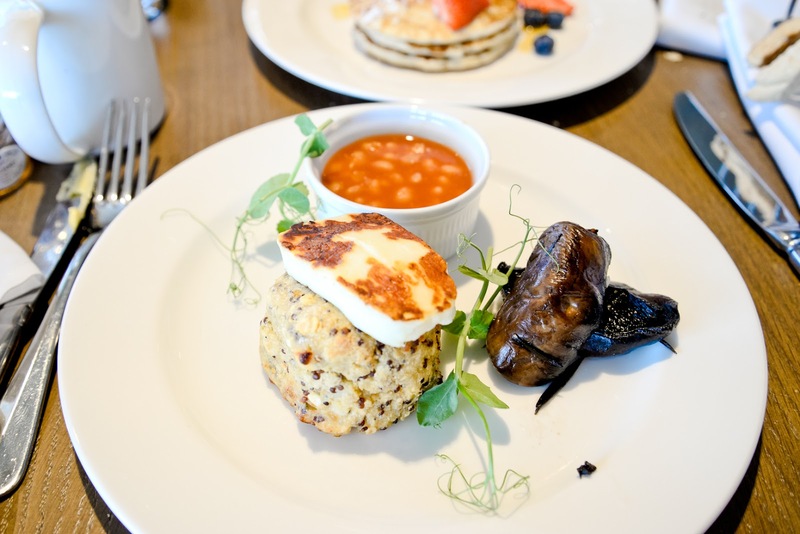 We were equally impressed with the breakfast in the morning too, there was a great selection for both adults and children and the chefs were even happy to cook us up some vegetarian sausages to go with our cooked breakfast. 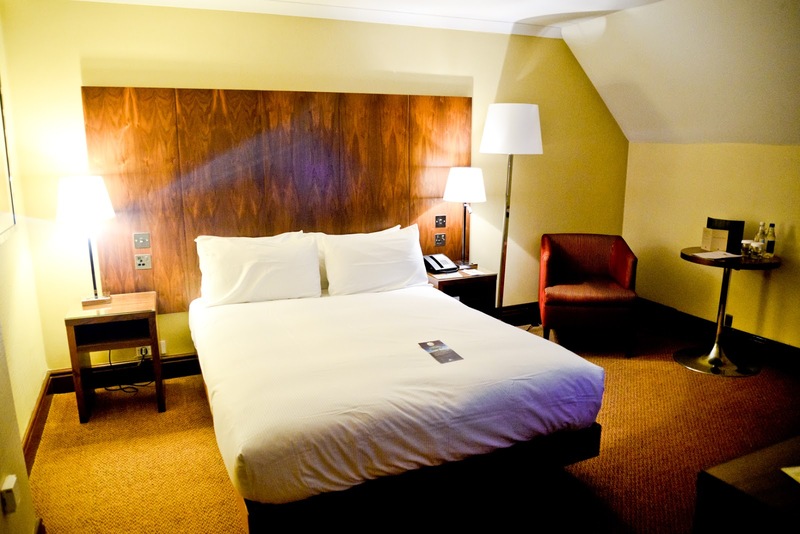 We really enjoyed our stay at the Doubletree by Hilton in Southampton, the staff were very friendly and accommodating, the room was a great size and very clean, there was plenty of choice at breakfast and it was overall a great base for seeing Hampshire and getting where we wanted to go. We would happily return. 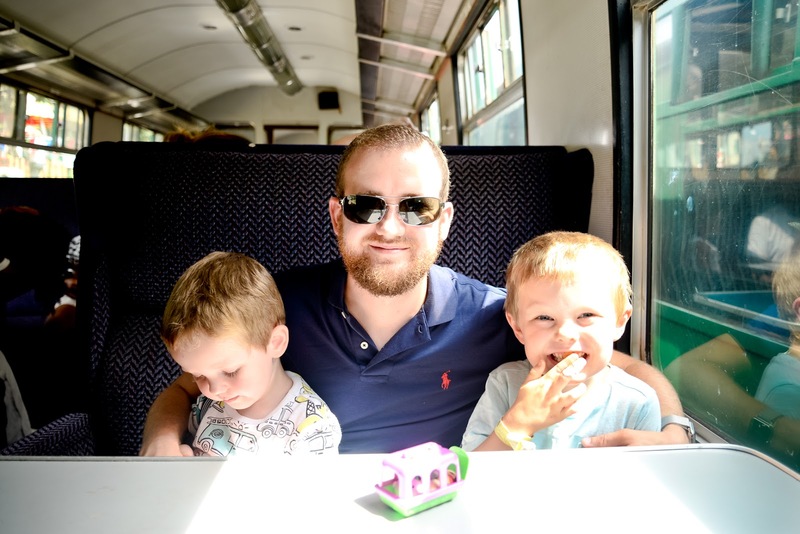 On Saturday we headed over to The Watercress Line at Mid Hants Railway to go and ride on some steam trains and also get to meet Thomas the Tank Engine himself. 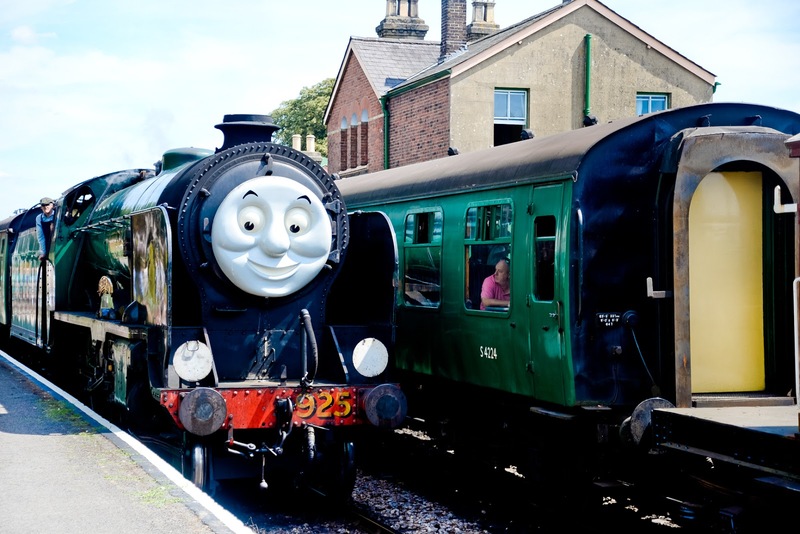 Between 4th-12 August the Day Out With Thomas attraction is running at The Watercress Line and it's a really nice day out and magical experience for the kids. 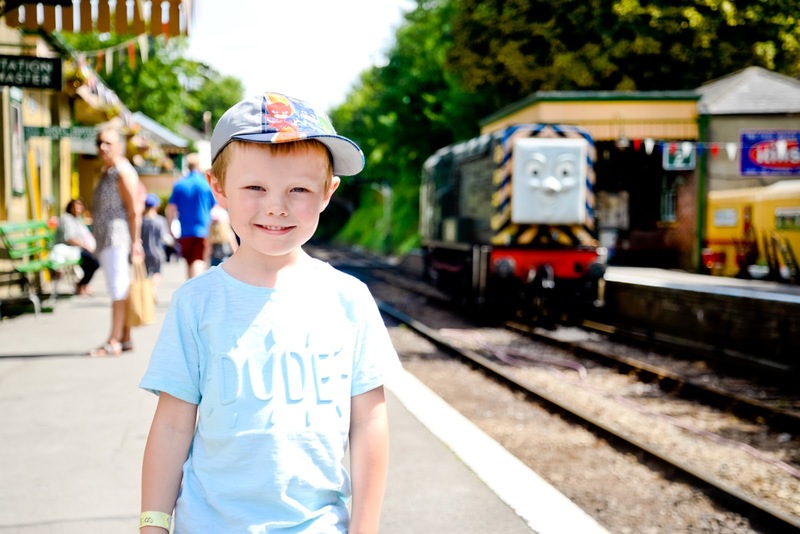 You can ride in the steam train behind Thomas the Tank Engine and you are able to ride in Toad the Brake Van at Ropley. There's also unlimited rides on the miniature railway, vintage fairground rides, the opportunity to meet The Fat Controller, Story Time with Rusty and The Fat Controller, Thomas temporary tattoo's, unlimited travel on the big steam trains that run up and down the 10 mile line, magic and entertainment, imagination stations where children can play with Thomas playsets and do colouring and more, all included in the ticket price. 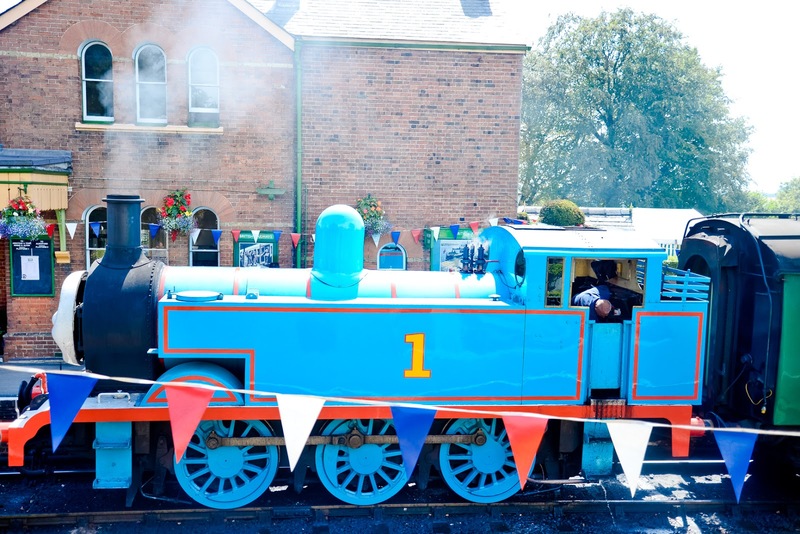 We were there at the weekend and it was very busy so I'd advised getting there early if you go when The Day Out With Thomas experience is on, but we still managed to get on everything and see all the things we wanted to. 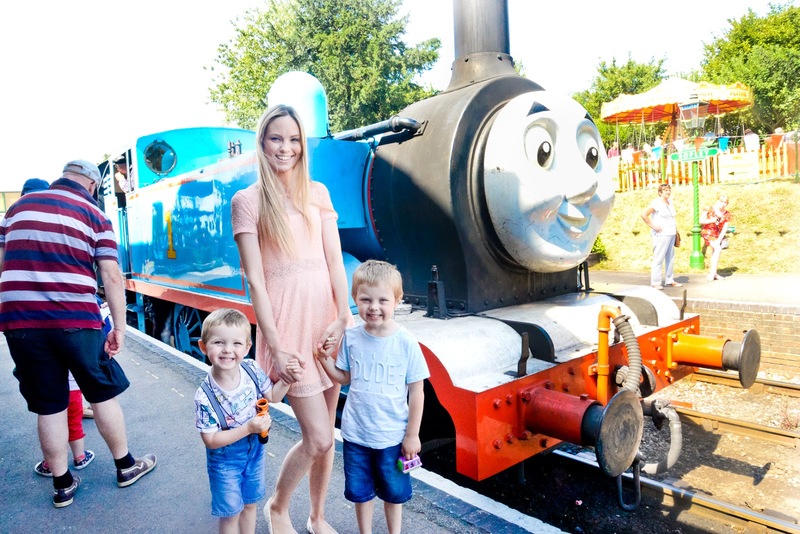 It's a great way to spend a family day, my boys loved it and I think it must have been really magical for them to be up close with Thomas The Tank Engine and to be able to take a ride in his carriage. 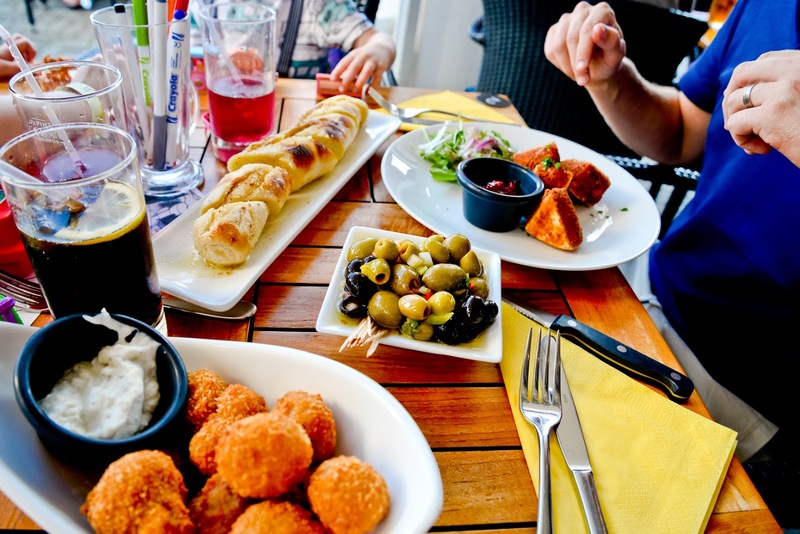 On Saturday evening we went over to Southampton Ocean Village to eat at Banana Wharf and I have to say that it turned out to be one of the best meals I've had in a long time. The portion sizes are so generous and all of the food we ordered was really tasty - there was so much flavour to everything! The tomato pasta I had was incredible. They offered fantastic vegetarian options and good children's options. 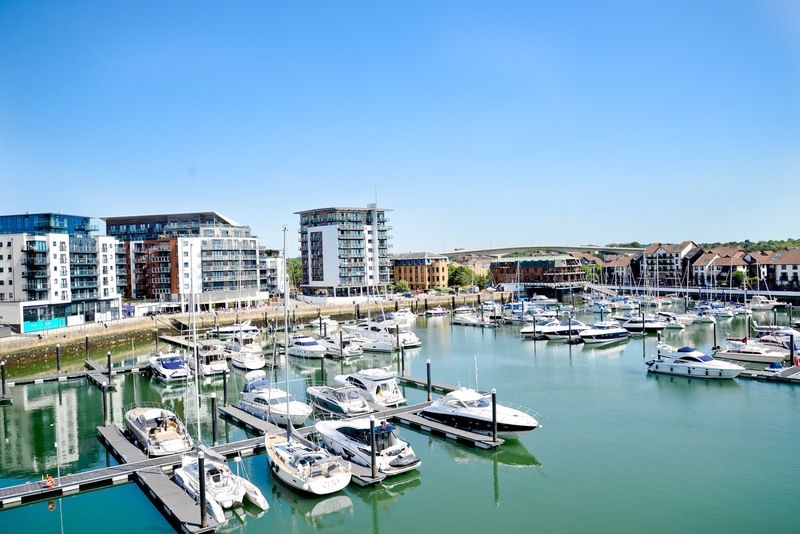 The staff were really friendly and the marina views were perfect. We sat outside and it was just perfect, I'd highly recommend doing this if it's warm enough as the views are just amazing. I really just wish we lived closer as I'd love to go back! 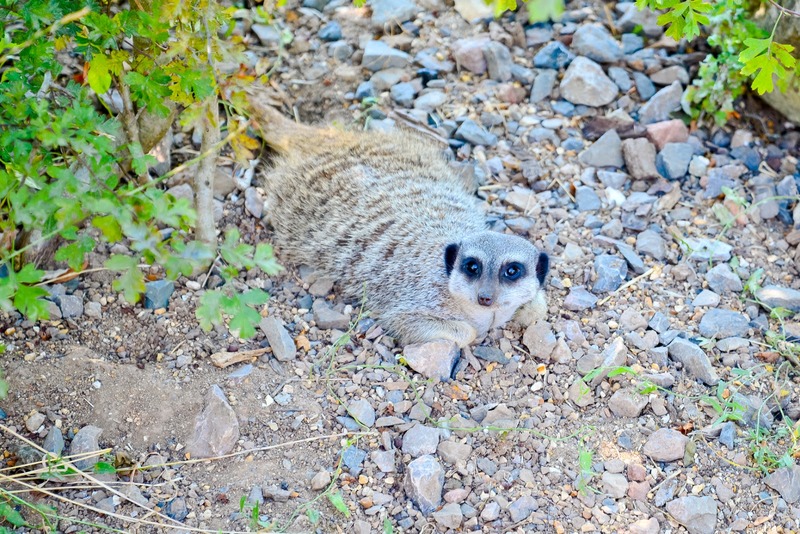 On Sunday we headed over to Marwell Zoo, it was absolutely boiling which, as much as I hate to moan about the weather, meant that a lot of the animals were in hiding as they tried to shade themselves from the bright sun. 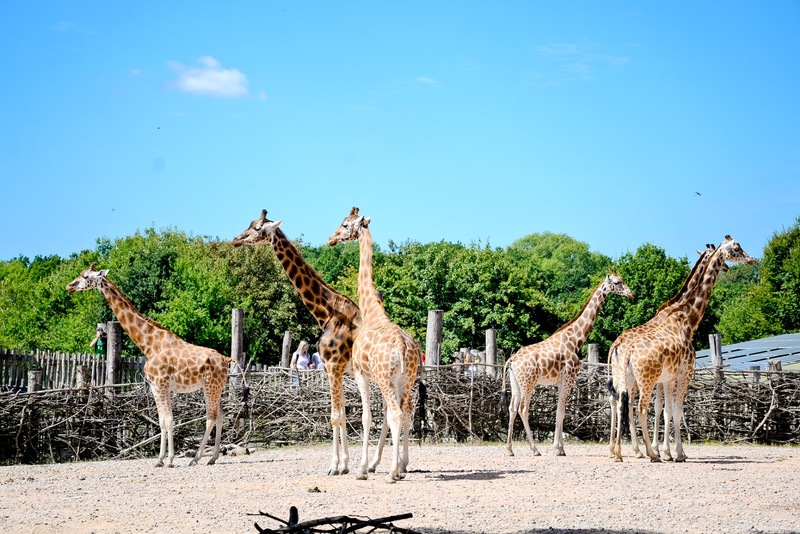 The zoo is absolutely huge (140 acres) and the animals have a lot of room which is great to see, it does mean however that there is a lot of walking, which when it's hot can be a little difficult for young people. 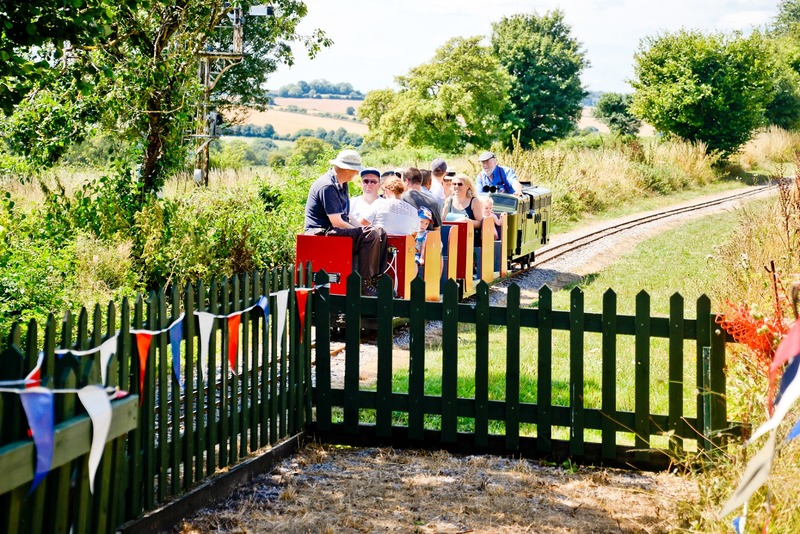 There is, however, a free road train that you can take around the park to make it easier for tired legs. 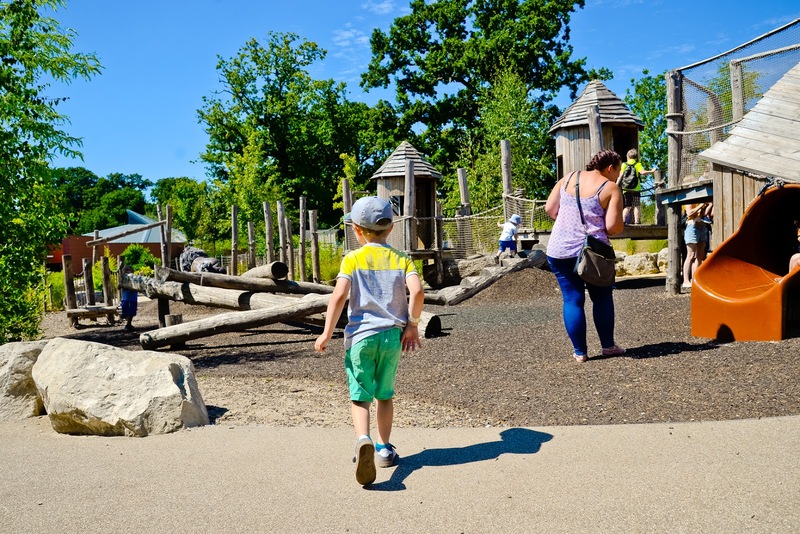 There are five adventure playgrounds at Marwell for the children to play and they each have suggested ages for play on them so you can see which is suitable for your child. 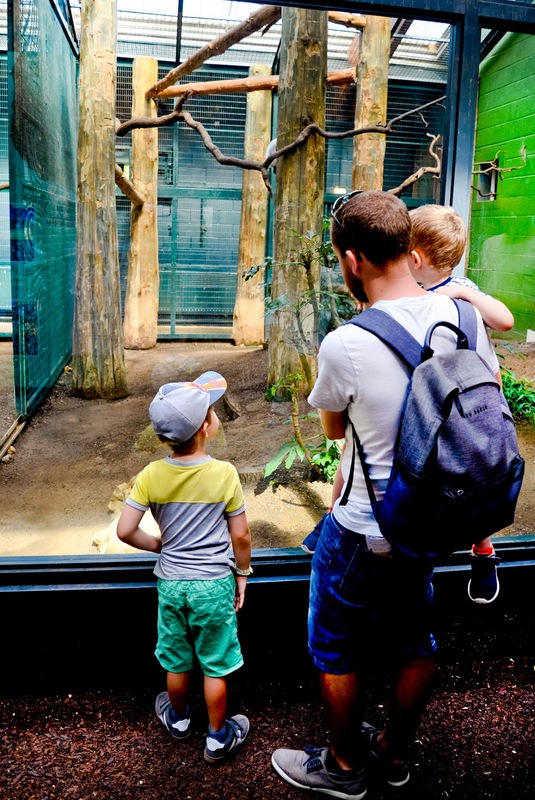 Make sure to visit the Lemur Loop and also the Tropical House and don't miss the giraffes, we got to see them eating up close and they are just such majestic animals. 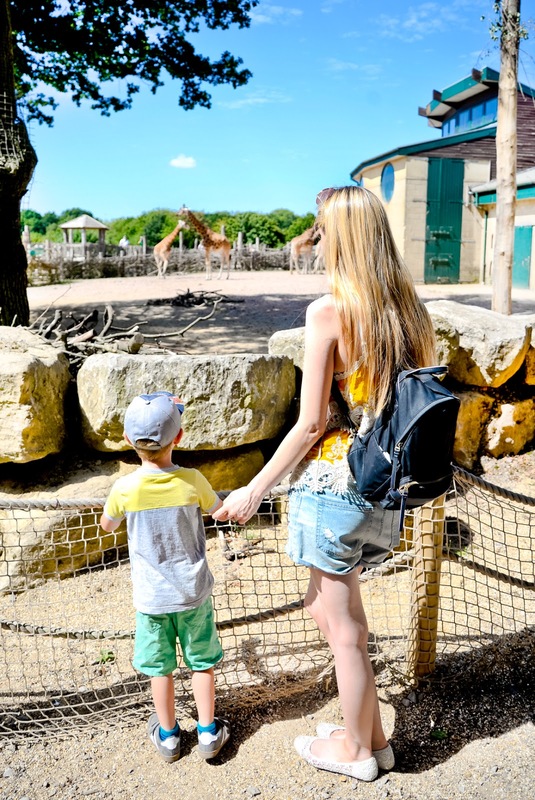 You can also download the Marwell Zoo app to help you get the most out of your trip, especially if it's your first time there. 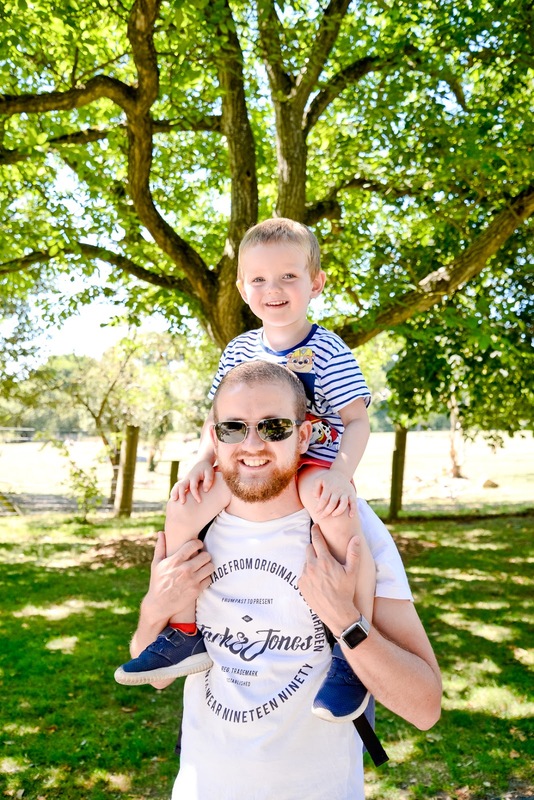 We had a really nice time at Marwell Zoo, but we'd definitely recommend visiting when it's a bit cooler than it's been during the heatwave we've been having, just so you get the most out of the day and are more likely to see as many animals up and about. 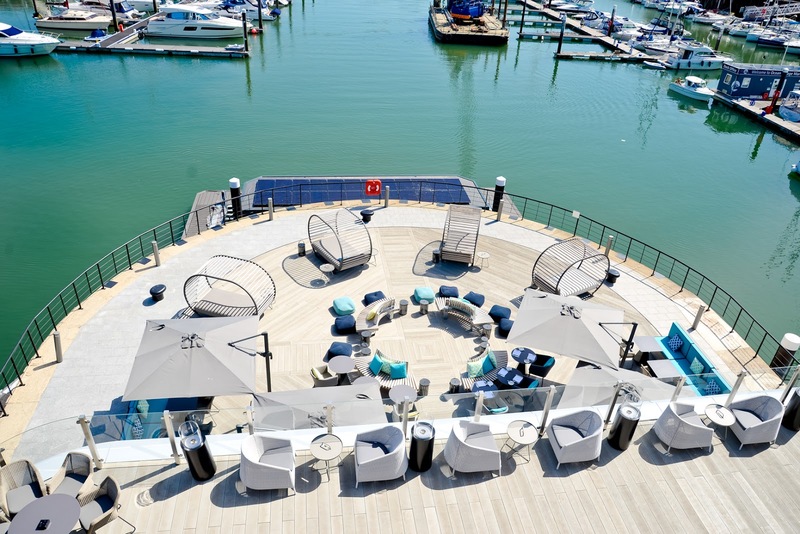 If I was to sum up Southampton Harbour Hotel (where we stayed on Sunday night) in one word it would be: 'Wow!". It was absolutely incredible. 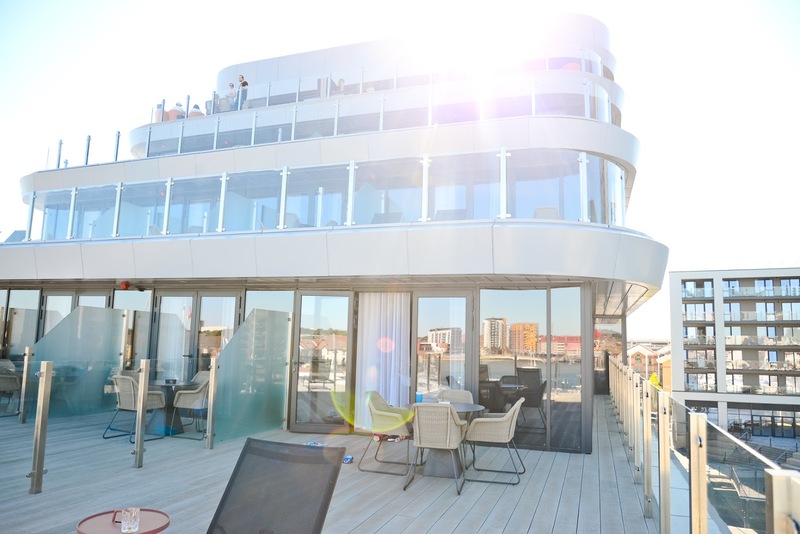 The hotel itself is shaped like a super-yacht and it is stunning both outside and inside. 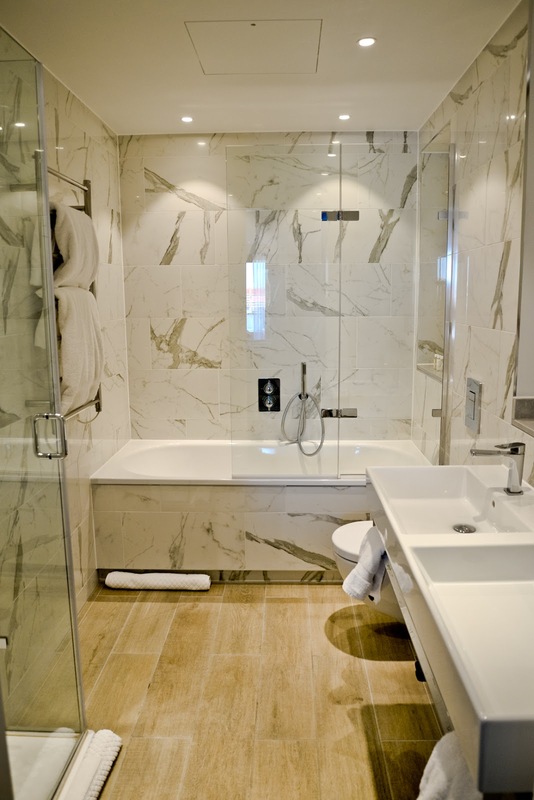 The interiors are super modern and the views over the marina after breath-taking. 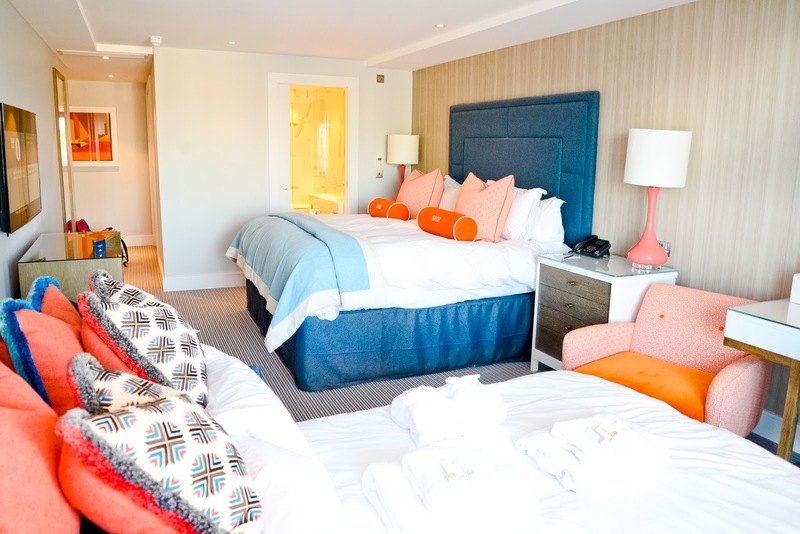 We were really fortunate and were able to stay in a Queen Suite with marina views and I don't think I've ever fallen in love with a hotel room as much as I did that one. The bed was huge and probably the most comfortable bed we've ever slept in - I slept like a log all night in it. 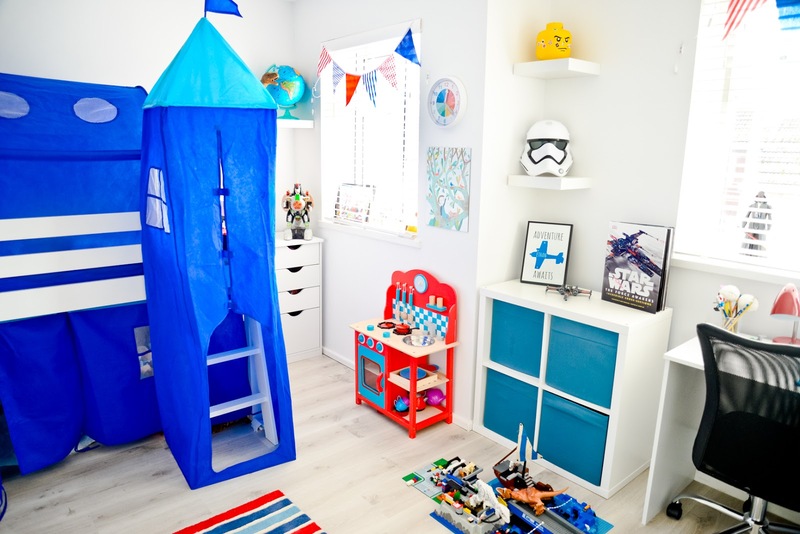 There was a sofa area that turned into a sofa bed which is where the boys slept, there was also a spacious, modern bathroom with a bath, shower and two sinks. 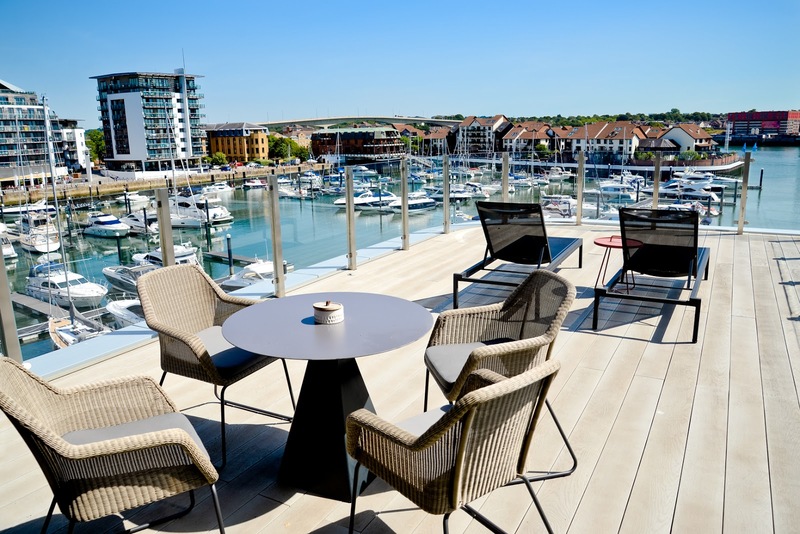 There was a dressing table in our bedroom, plenty of space for our luggage, a huge TV with free view and best of all there was a HUGE private balcony/decking area that looked over the marina. The balcony was nearly as big as the room and it had sun loungers on and a table to sit at with four chairs around. In the room were a pair of binoculars so that you could sit and look out at the boats. The room even came with complimentary sherry and gin as well as tea and coffee. In the evening after our meal and after we'd put the boys to bed (who luckily went to bed really well), Adam and I sat out on the balcony in the dark under the stars looking out over the marina and at all of the pretty lights and it was one of the best evenings. I sat in my robe (we'd all been left robes in the room, even the boys had super soft mini robes) and drank a cup of tea and just totally relaxed. The next morning we asked about a late checkout and the staff were very accommodating and said we could stay in the room until lunchtime, so we got to relax some more on the balcony before I had to tear myself away and leave. 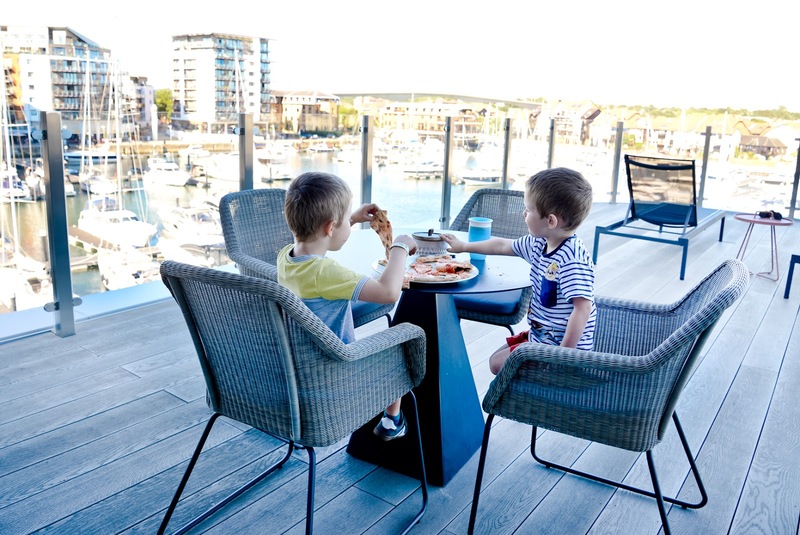 If we'd had another day there, I think I would have loved to have spent it chilling in our room, sitting on the balcony watching the marina, then watching movies in our giant bed and going down to the pool area for a swim (I was gutted I'd forgotten to pack my swimming costume!). 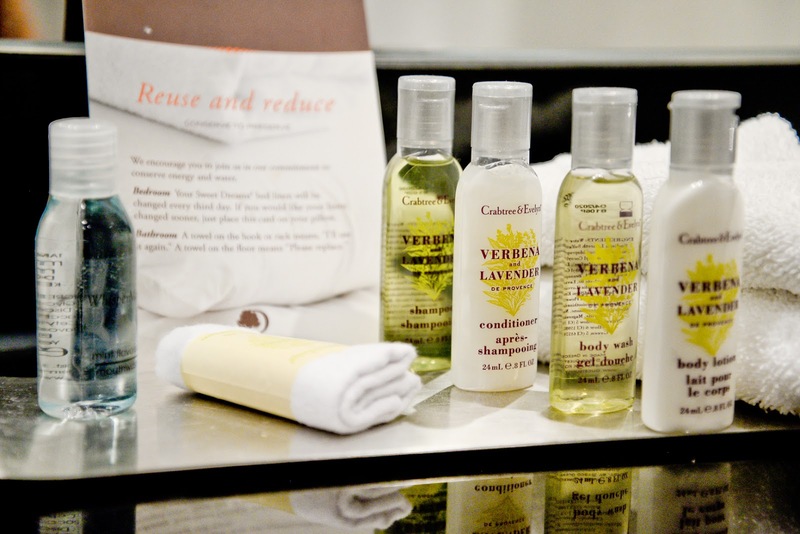 Adam and I have already talked about going back some time as it was a dream hotel for us! Dinner with a view for the boys! Breakfast at the Southampton Harbour Hotel was amazing. One of the vegetarian options was haloumi and it was so good. 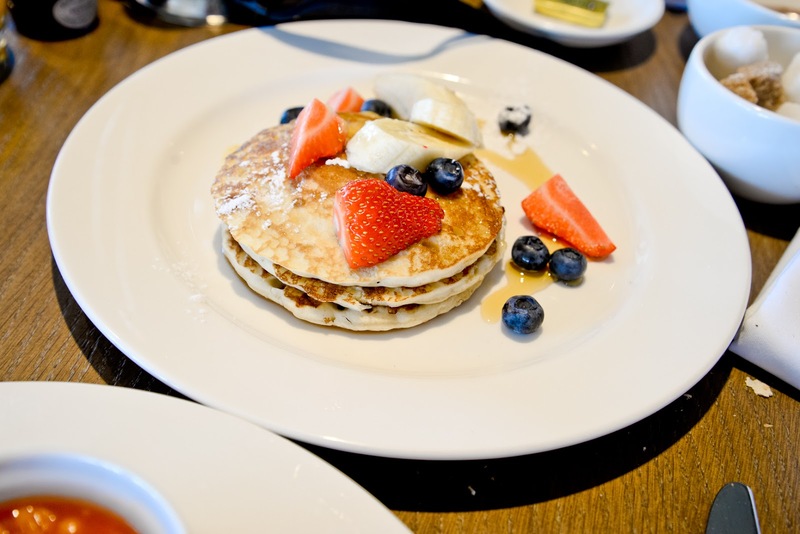 The pankcakes were very tasty too! 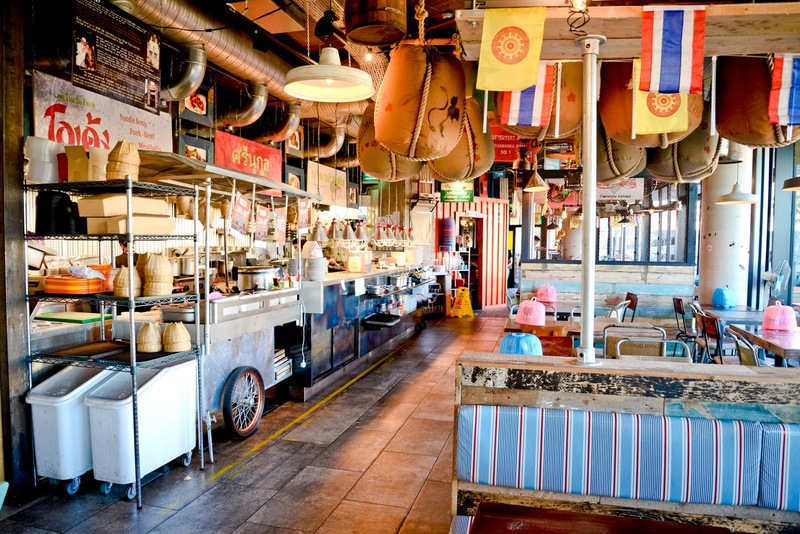 On Sunday evening we had our final meal at a restaurant called Thaikhun which is in the newly developed dining quarter of West Quay. We sat outside on the terrace as the evening sun was lovely and warm and we had such a lovely meal. The decor inside of the restaurant is brilliant, even the toilets are decorated in a way that transports you to Thailand. 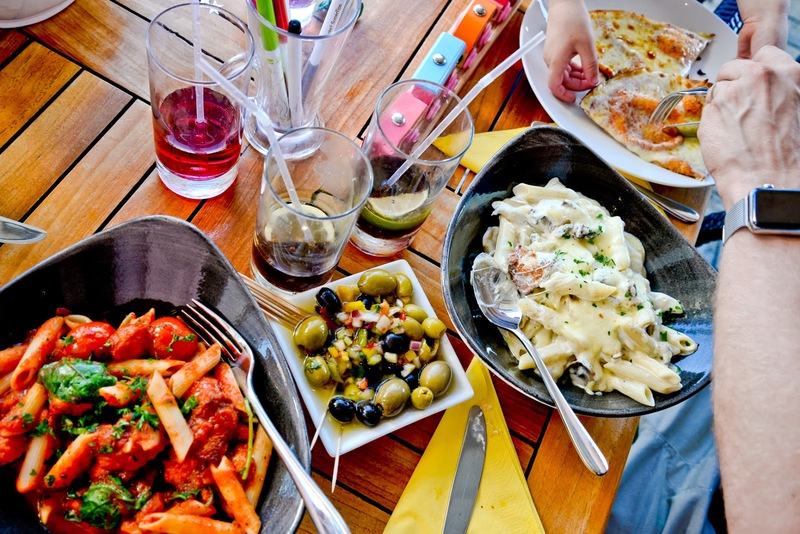 The menu has so much to offer and plenty to choose from for vegetarians. One thing I was surprised to see was a kids menu, it was a really pleasant surprise as I hadn't expected them to have on for some reason. 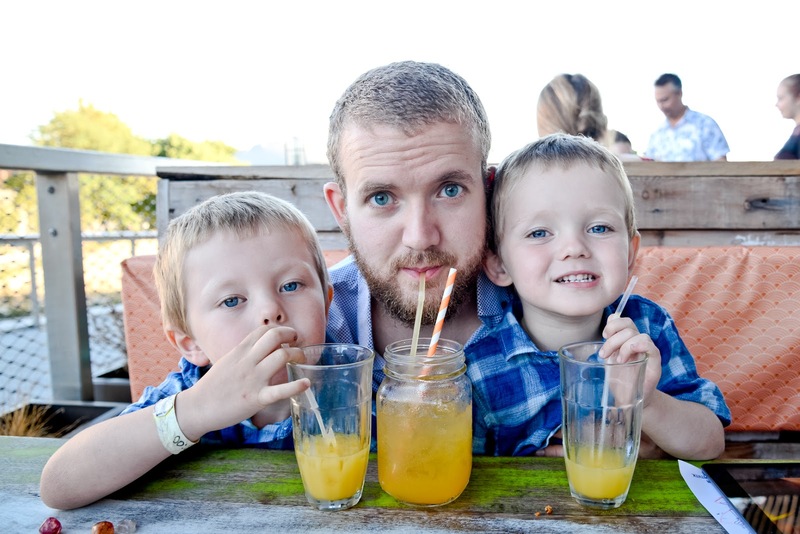 Our boys had already eaten back at the hotel as they are super fussy when it comes to dinner, but it was nice to know that they did offer a kids meal. 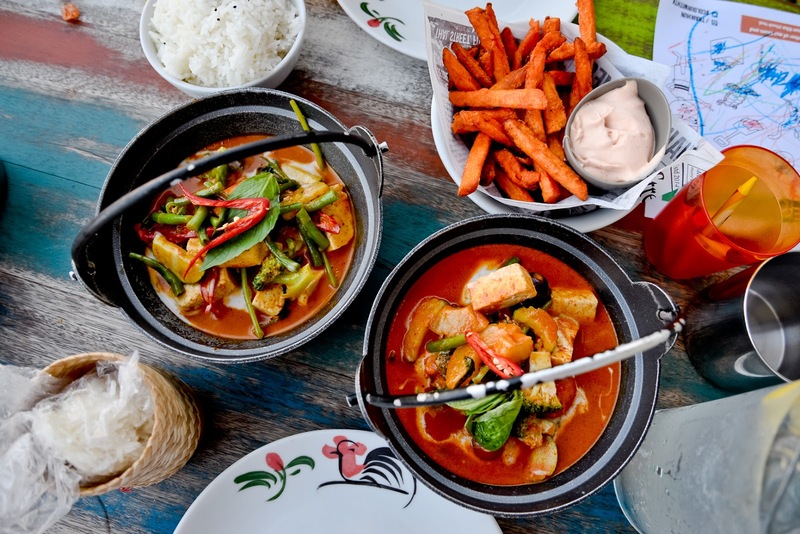 Adam and I chose a Panang Curry and a Thai Red Curry and they were both so tasty. We also tried the vegetarian spring rolls and sweetcorn cakes and I highly recommend them! There's a great cocktail menu there too and the staff are super friendly and very accommodating! If you're ever in the are and you like Thai, it's definitely worth a visit! 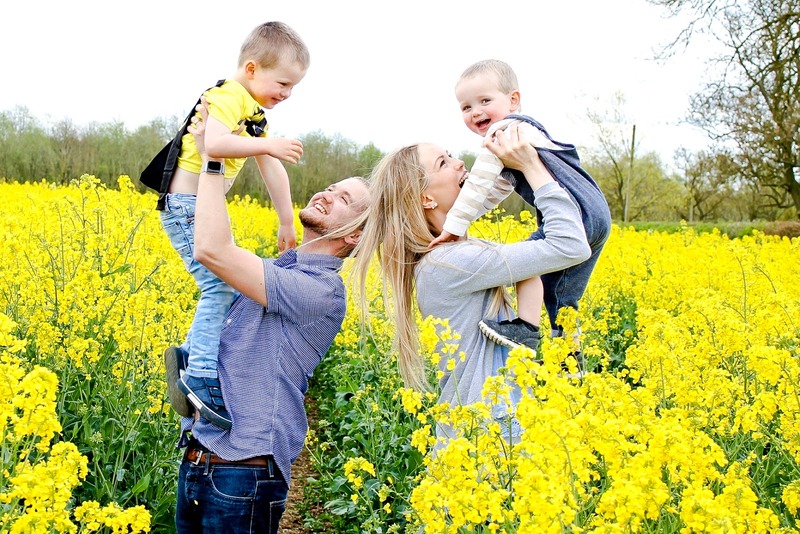 We had such a great trip to Hampshire, it was fun-packed, exciting and relaxing all in one and it truly felt like a mini holiday! 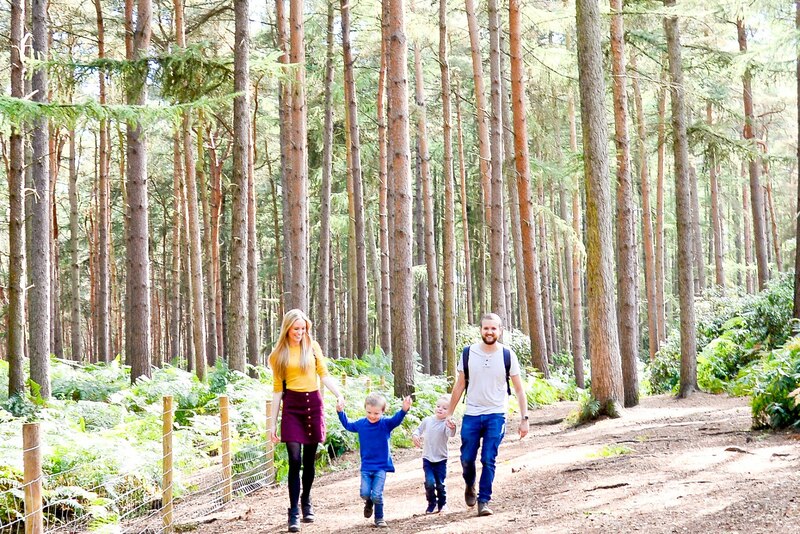 One thing that surprised me was how much there is to do in Hampshire, just browsing through the different things to see and do over on hampshireattractions.co.uk has given me so many different ideas for things that we could go back and do and make another long weekend out of. 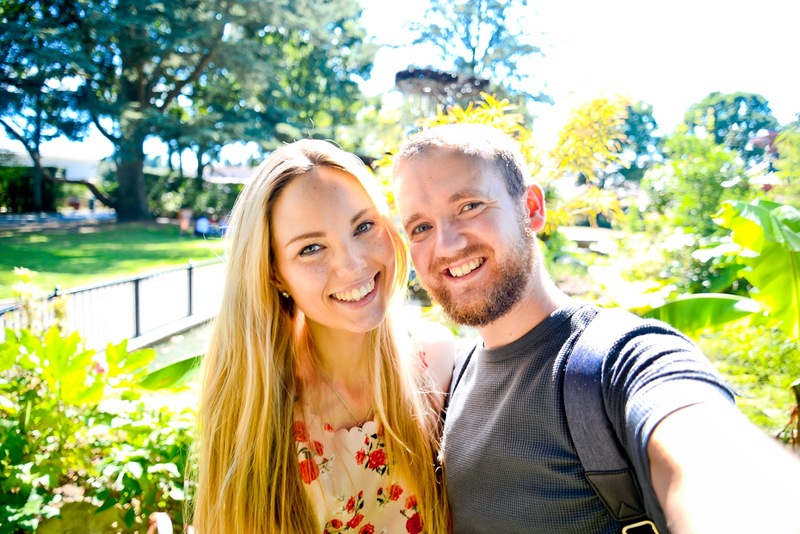 Not only are there so many different attractions, but there's all the beaches you can visit and amazing restaurants to eat and places to stay. 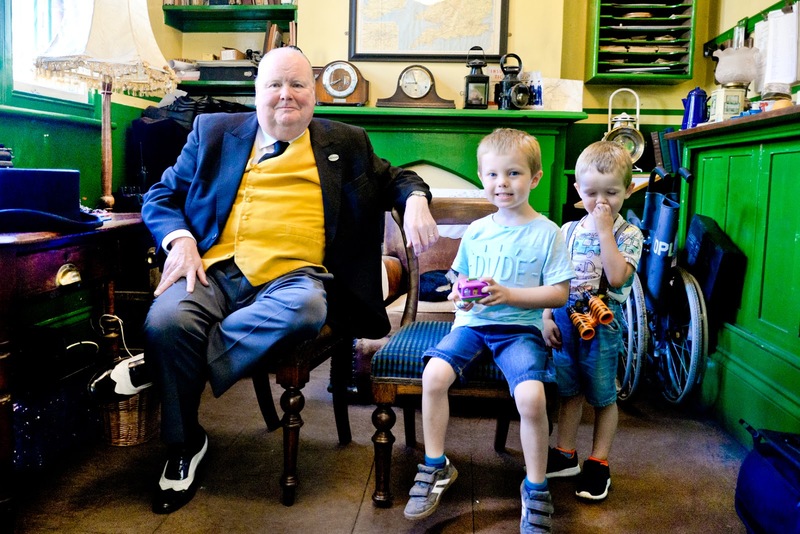 I'd never really thought of Hampshire as being somewhere with so much to do, but I have been left pleasantly surprised and will definitely go back with the boys to explore some more! *We were hosted by Hampshire's Top Attractions for this trip, but as always, all thoughts and opinions shared are entirely our own. 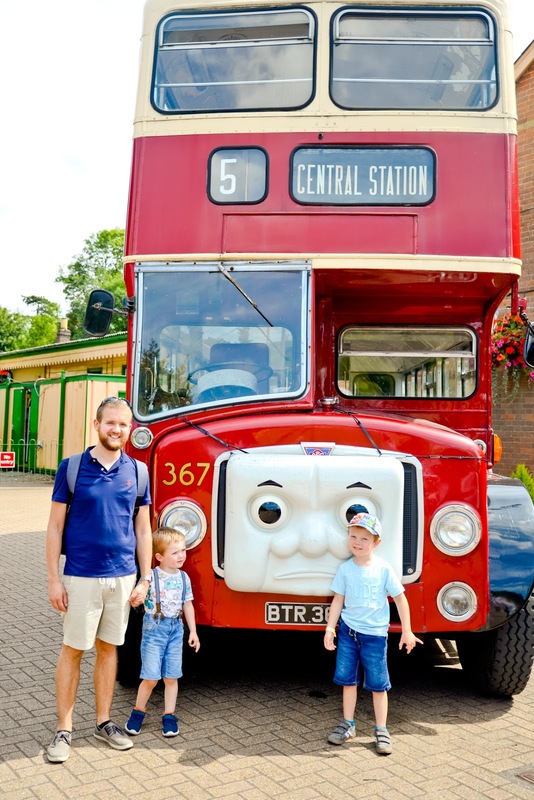 I think you did my dream UK break with kids! 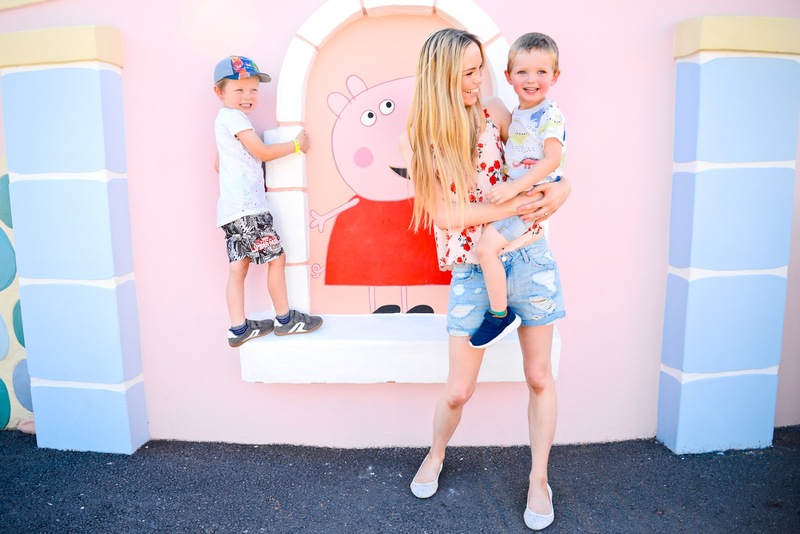 My littlest adores Peppa and Thomas so both attractions are on my list for the holidays. Thank you for the restaurant recommendations too. 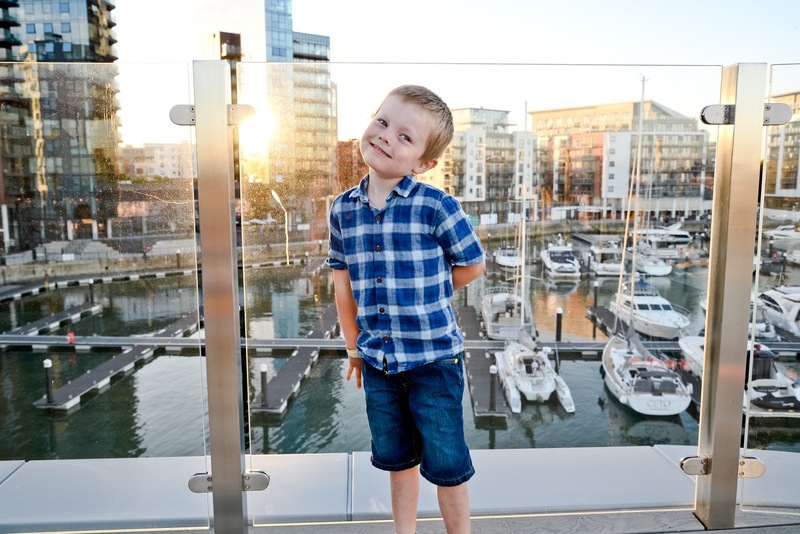 That looks like such a fun trip, the hotel is beautiful and my kids would have loved being on the balcony and looking at all the boats. 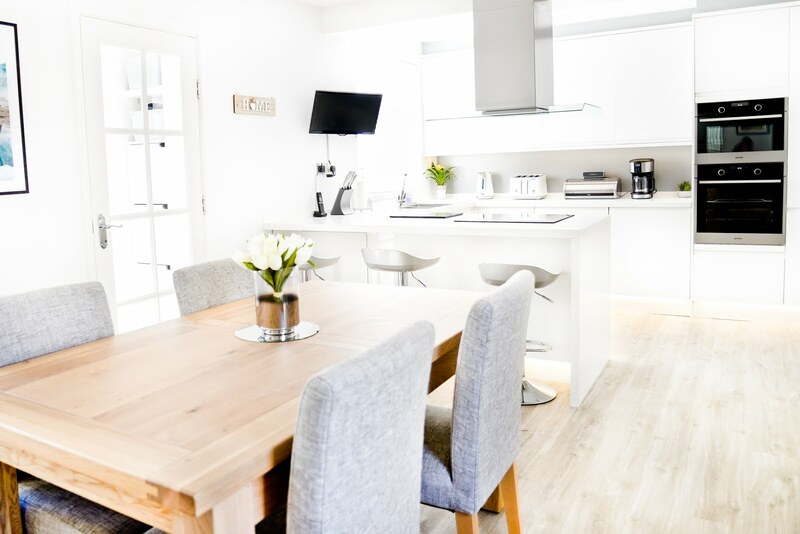 I love how clean and crisp your room looks, but that also the brighter colours make it feel welcoming to. Wow, what an amazing break you had, I want to recreate it all from the attractions to the hotels and restaurants, it's all right up my street. I didn't realise there was so much to do around there!! It looks like you all had such a fabulous time! My kids would LOVE to go there too some day! 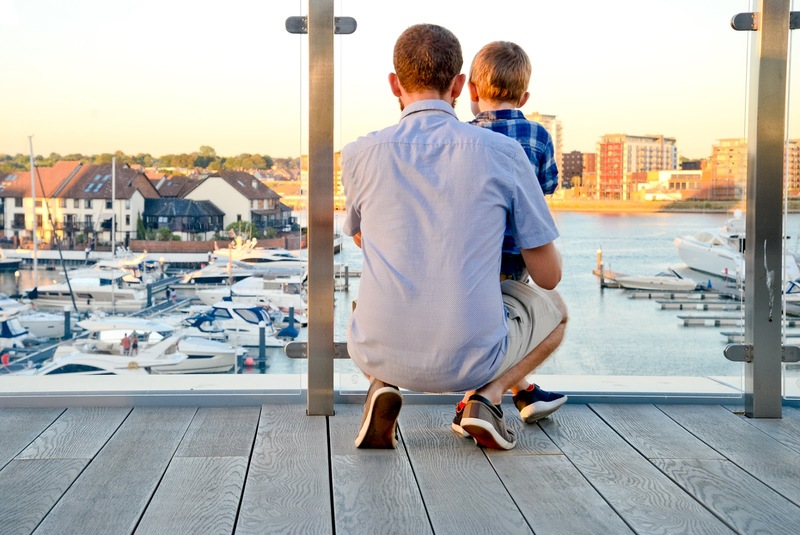 It looks like you've had such a fun weekend around Southampton. I have wanted to visit Marwell for a while now, it's so close to me but I didn't make it there yet. 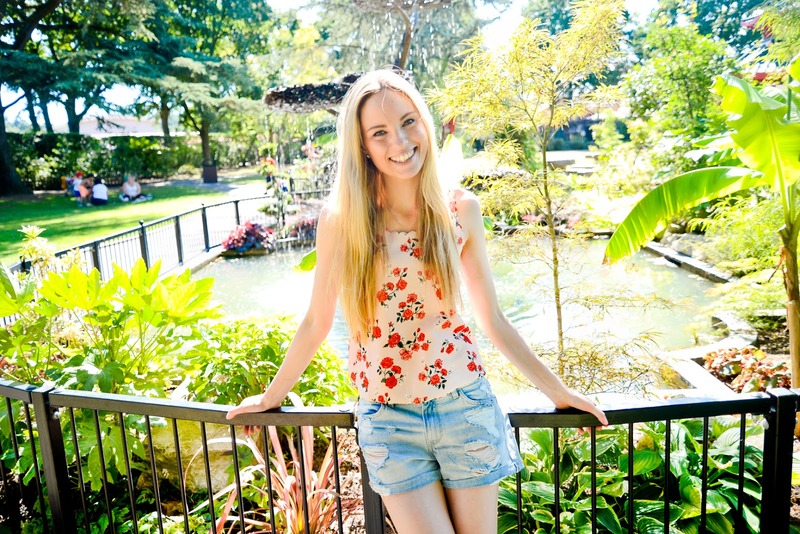 Lovely photos Alex! I live in Hampshire (right on the border of Hampshire/Berkshire/Surrey) but it's good to discover some places to visit that I didn't know about. I will definitely be checking out that website to find some local things to see and do! I'm glad you all had a good time.